ALVAREZ & MARSAL PROPERTY INVESTMENTS (AMPI) ACQUIRES NEW COMMERCIAL PROPERTY IN THE BELMONT DISTRICT OF PORTLAND, OR. NEW YORK – Alvarez & Marsal Property Investments (AMPI) announced its newest acquisition, a 7,121 square foot property in Portland, OR, which was acquired in an off-market transaction as an adaptive re-usable space. 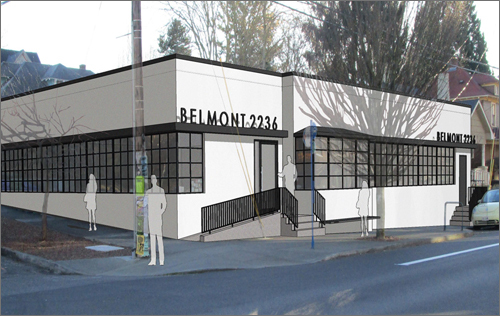 Built in 1947, 2236 Belmont Street will undergo renovation this year and will soon re-launch as a potential creative office space or restaurant build-out. “I believe this building fits nicely into our Portland acquisition strategy. While it is a smaller acquisition for AMPI, we think it lies squarely in the path of our progress. Our team is excited about revamping the space and its prospective tenants,” said Victor Alvarez, Founding Partner of AMPI. The building is prominently located at the corner of Belmont and SE 23rd, giving it prime access to the popular commercial area of southeast Portland. The up and coming Belmont district started with blue-collar roots and has progressed to represent a diverse mix of colorful cultures and backgrounds. With its many locally owned shops, restaurants and markets — all within walking distance to one another­, the area embodies the local flavor distinct to Portland.